BRISBANE, Calif. – August 24, 2017 – Crusaders of Light‘s $400K Fastest Dungeon Raid Competition is underway, and the last chance to sign up as a team leader is quickly approaching. Players interested in leading a 40-person raid team into battle must sign up by August 31 at crusadersoflight.com. The competition comes to an end on September 10. The fully-fledged MMORPG from NetEase, Inc. (NASDAQ: NTES), Crusaders of Light launched this summer on mobile devices and PC, and is now available for free download on the App Store, Google Play and Facebook Gameroom. Players can take Crusaders of Light on the go, switch to PC via Gameroom when they want to tackle more complex content, and continue questing using their same character whether at home or away. 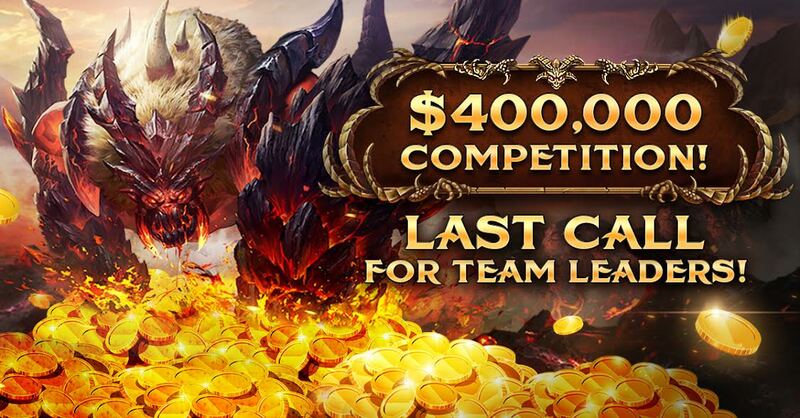 The Fastest Dungeon Raid Competition kicked-off on July 13th to celebrate the launch of Crusaders of Light, and will reward one 40-person team a cash prize pool of up to $400,000 – $10,000 per eligible player. Set in Heroic Mode of Crusaders of Light’s Fort Desolation Dungeon, which opens at level 45, the 40-person team that defeats the dungeon and its two bosses in the fastest time within the competition period will take home the big prize. With new players reaching level 45 in record time – some within just a few days – don’t miss your chance to get in on the action. Sign up today and check out current leaderboard standings at http://crusadersoflight.com. A video explaining the competition details can be found here. Check here for official rules and a list of eligible countries and servers. Check out Crusaders of Light today to experience an authentic MMORPG on mobile, and take your character cross-platform for seamless play between mobile and PC. Discover a gorgeous 3D fantasy world, a series of challenging dungeons, new friendships forged in the guild system, and, for the first time ever on mobile, 40-person raids — available now as a free download.